It was said a while ago that you are working on updating the game to HTML5 any updates on the progress? was that one, two or three dev teams ago? Yeh I asked that question, when this new team came into place. If they keep their heads down and don't say anything, you can safely assume that the game at most has a couple of years left. HTML5 needs to be in place late summer 2019 really, at the absolute latest. I remember that announcement. they said the change was "in development" and it would be released in 2019. I think 2020 is when the plug is pulled on Flash. At the rate they've been increasing whale feeding, not even trying to hide it anymore, I'd say that timetable looks about right. They know that when the new platform is available, hordes of players will come back to give it one more try, see if things have changed -- if they finally make it a great game again, they'll stay and the company will be saved. If it's still a whale feeder, they'll squeeze about 6 more months out of it. Given that they can't accurately predict the dates of next month's raid, the chances of them predicting the schedule for something as complex as re-platforming a game is pretty much zero. even if the do like they said, the chances are good they'll make a mobile version and abandon the laptop version. That seems like the safer bet. Can't see the transition to HTML5 happening - although I could be wrong. But with a dwindling playerbase and current content overload, I'm guessing the game's really going for coin more than ever now. Doubt if many absent players would return just because the game's been re-platformed. Flash is due to lose support by the end of 2020, if not before. So would be nice to hear if BP's got any future after that date, especially as nearly everything's geared to coin now. I questioned facebook about the upcoming flash shut down. Their response was, yes flash is shutting down in 2020 but game makers are strongly advised to change platforms ahead of that due to browsers changing ahead of the shutdown. We know the shut down is scheduled for the end of 2020 but we don't know when the browsers are scheduled to change. If kix doesn't switch platforms soon enough, we might just try to log in and not be able to get it to load. Kix said they will be switching over, but I'm not convinced. They may just be saying that to keep the coiners coining until the day they pull the plug. "coming soon"... if you played this game for a long time you will understand that comment ..
LMAO.... Yep, HTML5 will be right after R & D level 31 and sector threat red. Players...Please listen....Kixeye is lying to us! They do not care about us at all. All they care about is the all mighty dollar and how much of it they can squeeze from us before this game goes belly up. What most folks do not understand is that all these changes, all the videos from CEOs, developers and game designers will not get anything done. They keep adding new content when they cannot even fix the playback, daily campaigns or the raids for that matter. These fixes should be simple enough for a COMPETENT video game company and as we all know...KIXEYE is NOT a competent video game company. If they were honest, they would just come out and say that if you want to compete in this game, you will have to pay a lot of money. They of course, will not do this because they would lose over half of the player base. STOP GIVING THEM MONEY! If you truly want to make changes to the game...STOP GIVING THEM MONEY. It is ridiculous to me that some players spend 1000's of dollars a week on this game and THEN complain about it. If you do not like the direction the game is going...STOP GIVING THEM YOUR MONEY! This game will never see HTML. They are trying to kill it to move on to other things. They have done it before...they are doing it again. 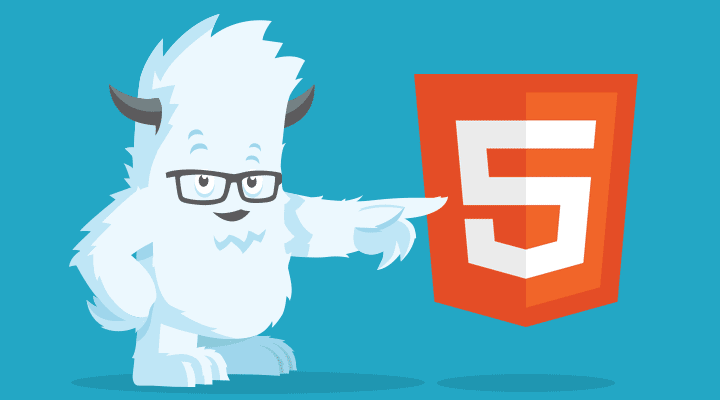 so begs question, how is HTML5 development coming @KIXEYE_Chris ? Really good, actually! I believe our engineering team said that they will have a rough render version sometime this week - which they can finally start doing some bug testing work on. haha well - to clarify - by bug test I mean hit it with a hammer that only engineering can wield - to make sure it's in a good place to even stand up. Yep. So much for their promise that Forums would be kept up to date and we wouldn't have to constantly check multiple places to keep up with what's going on. and the promise about open communications and keeping us informed? Tell me again about trusting anything they say? That doesn't include copy/pasting everything that comes up organically in conversation. It's a live-text chat service, inherently there's going to be more engagement there than here. Major announcements will continue on the forums until an in-game newsfeed is implemented so players don't have to go to an external channel to read long-form announcements. At which point, major announcements will be made there instead of either Discord or forums. Hmmm, didn't you just get informed but by me? I think players have a responsibility to also help out if they can. Get on discord, it's great for this type of information. Or wait here and people like me or moderators will help when they can. Hopefully in the move the redundant/workaround code will be removed thus giving a smother operation of the code. geeeezzzz has anyone else noticed that kixeye is banning (from fourms)anyone who speaks out about there scams in the fourms? pretty shady if you cant understand the frustration you are creating in the player.. so silence them threw banns..